A smart folding cane with a black, left hand orthopaedic handle. 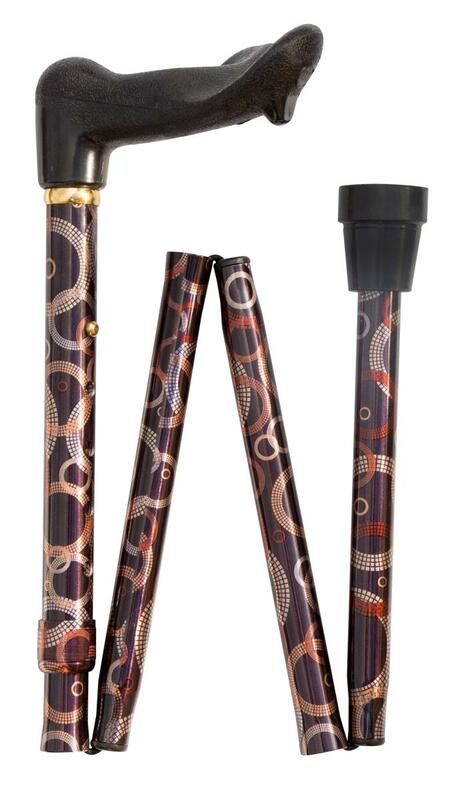 The brown aluminium shaft is patterned with abstract design of gold, silver, bronze and copper concentric and interlocking rings. The height cane be adjusted between 87 and 97cm and it is fitted with a non-slip brown rubber ferrule. It is also available in a right hand model to make a pair (ref. 4685R). Ferrule diameter: 19mm.